Do you agree with these 9 money statements? A new Canstar Blue survey of 2,358 men and women of a variety of ages from different regions of New Zealand has made some interesting insights into how different people feel about money. 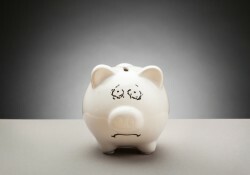 About one third of total respondents (33 percent) agreed that they find money management stressful and overwhelming. More women than men agreed with this statement, with 40 percent of all women surveyed admitting money stress compared to just 26 percent of men. Looking at different age generations, Baby Boomers seem much more money-relaxed with only 24 percent admitting stress, while 40 percent of Gen X and 47 percent of Gen Y admitted money stress. Geographically, Otago stood out with 42% agreeing, while in other regions this figure only sat around 30-35 percent. 36 percent of Baby Boomers. Kiwi’s are very confident with managing their money according to the survey, with 79 percent of total respondents agreeing with this statement. Across all regions, this figure didn’t drop below 75 percent while there wasn’t much of a difference between men (81 percent) and women (77 percent). The only stand-out was between the age groups, with only 69 percent of Gen Y feeling good at managing their finances compared to 84 percent of Baby Boomers. When it comes to utilising mobile internet banking, most of the respondents have yet to embrace it with only 36 percent agreeing with this statement. Women (41 percent) appear to have taken to mobile banking much more than men (31 percent), while as expected Gen Y (65 percent) agreed with the statement more than Gen X (45 percent) and Baby Boomers (20 percent). Geographically, Otago had the highest proportion of people using mobile banking (44 percent), while Waikato had the least (29 percent). Auckland stood out amongst the regions for having a much lower rate of people living pay day to pay day at 35 percent while in the other regions this was 40 to 45 percent. New Zealanders seem to be reasonably sensible when it comes to their spending, with 60 percent of total respondents claiming they stick to a budget. There wasn’t much variance in this figure amongst the genders, age groups and regions with all of them having rates between 58 to 64 percent. More than half of survey respondents (55 percent) are concerned about the security of PayPass and payWave technologies. The women (59 percent) were more concerned than men (51 percent) while less Gen Y respondents were concerned (49 percent) than Gen X (56 percent) and Baby Boomers (57 percent). People from Auckland are the most likely to have credit cards with 73 percent of Aucklanders respondents admitting ownership. Conversely, people from Waikato and Otago are the least likely with both having a 62 percent rate of credit card ownership. As a whole, the survey seems to suggest that older people are more comfortable with their finances than younger people while women appear to be slightly less confident than men with money. Out of the regions, people from Otago seem to feel less confident with money but more embracing of technology, which suggests that they have a younger population.